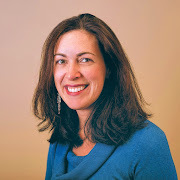 I have been teaching Preschool craft classes for many years (with a focus on play-based learning), and I have explored many Preschool themes with my students. I have a ton of wonderful and creative ideas, and I thought it would be helpful to organize them for you (all in one place). So, today I am sharing links to my collection of over 50 Preschool themes... and each link contains several fantastic ideas for engaging crafts and activities. 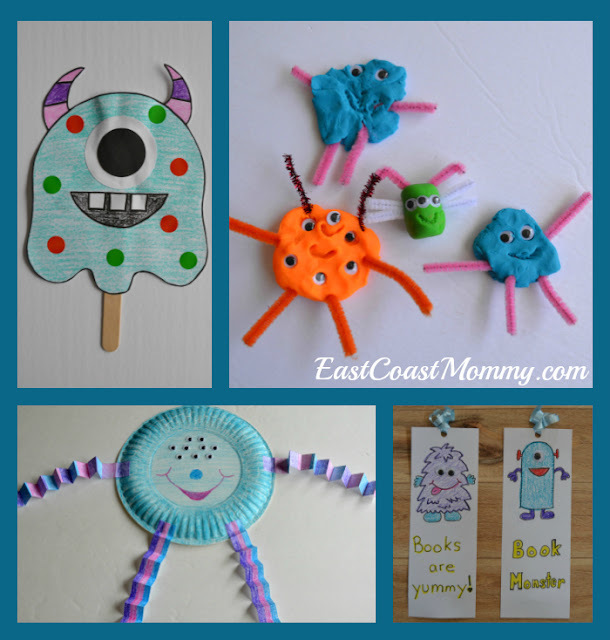 1) Monsters - These monster crafts and activities are more cute than scary. You can find all the details here. 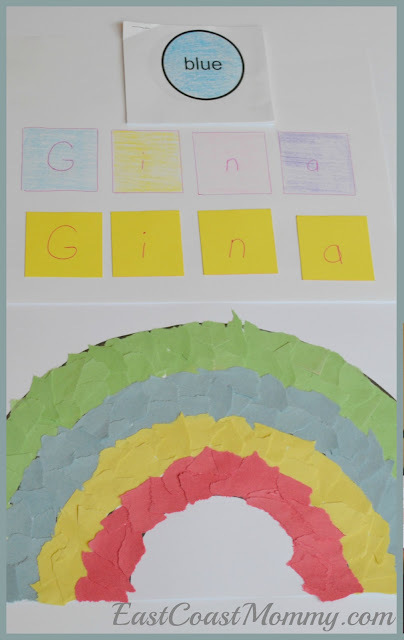 2) Colours - Preschoolers will love these bright and cheerful "colour" crafts and activities. You can find all the details here. 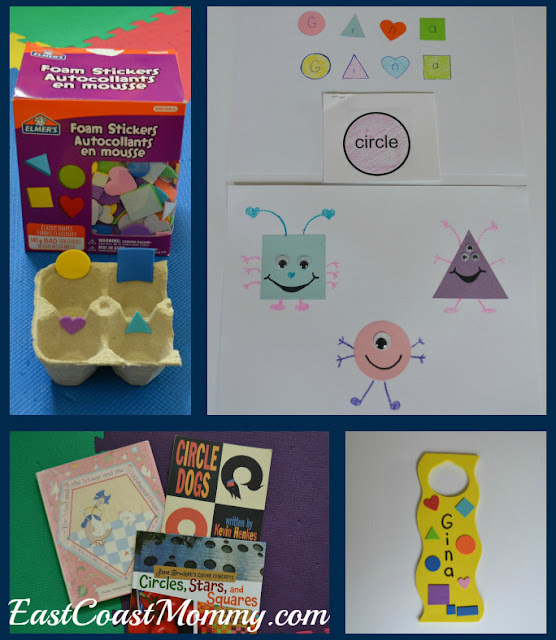 3) Shapes - Kids will have fun sorting shapes and making fun "shape" crafts. You can find all the details here. 4) Fall - Nothing says Fall like scarecrows and the colours of changing leaves. Making bird-feeders is also a fun way for Preschoolers to work on fine motor skills and to welcome the season. You can find the details here. 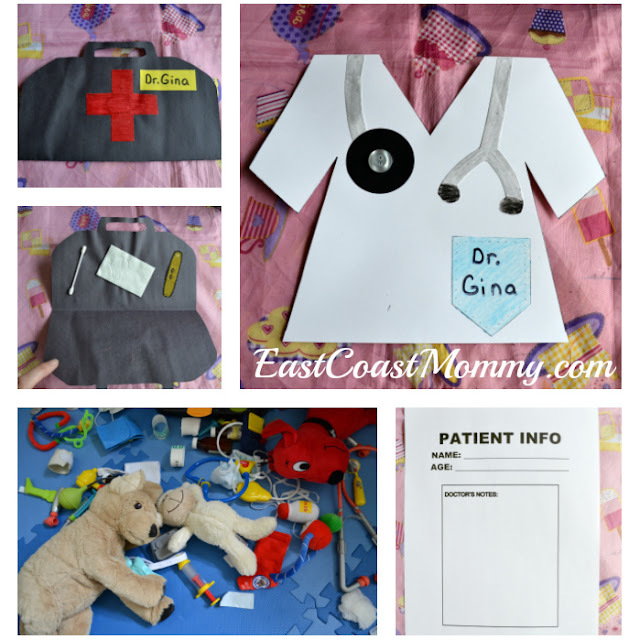 5) Teddy Bear Clinic - Playing "pretend" is always popular with kids, so it is no surprise that this theme is super-popular with Preschoolers. You can find the details here. 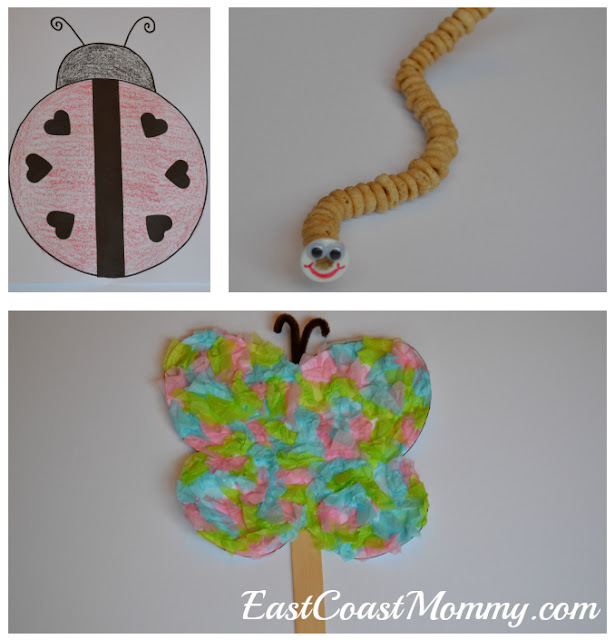 6) Bugs and Insects - Preschoolers will love making these adorable bugs and insect crafts. The bumblebee with moving wings and worm made from Cheerios are too cute! You can find the details here and here. 7) Farm Animals - Preschoolers will love exploring farm life with some cute and cuddling farm animal crafts and activities. You can find the details here. 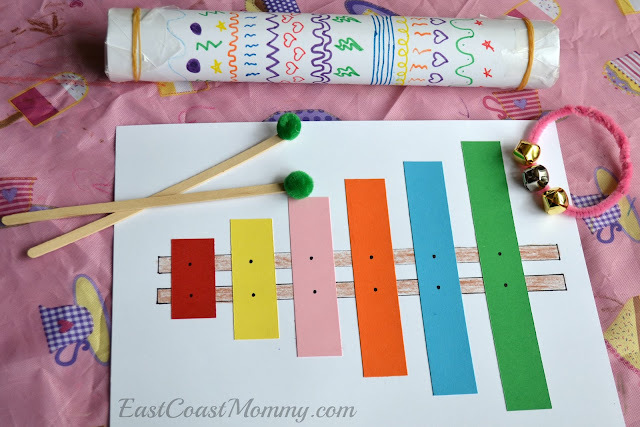 8) Music - Preschoolers love making noise, and these wonderful music crafts and activities are sure to delight them. You can find the details here and here. 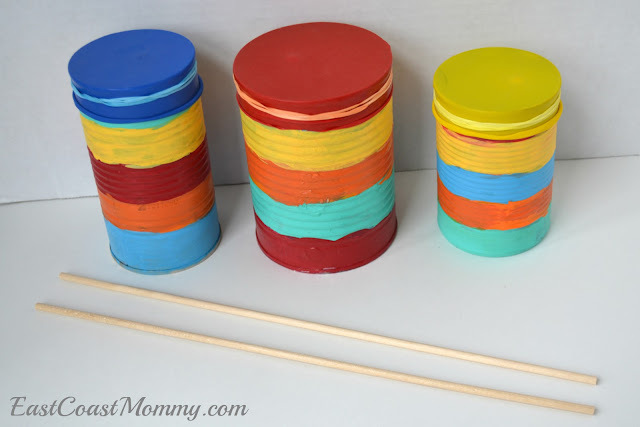 9) Circus - This theme is always a popular one with Preschoolers. 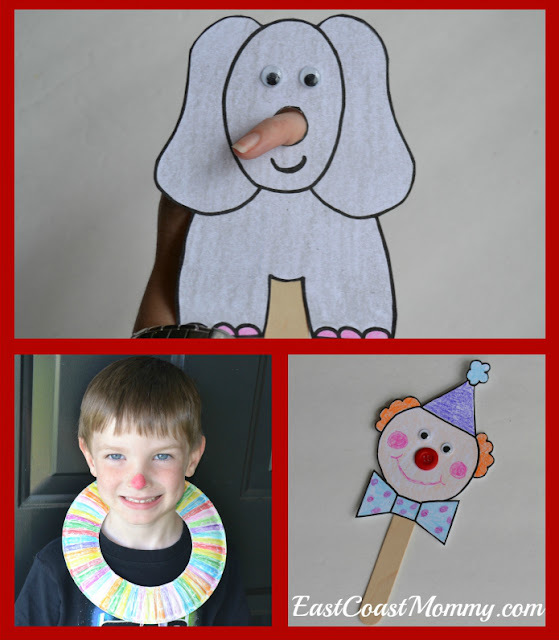 Kids love the elephant and clown puppets... and the clown collar is always a hit. You can find the details here. 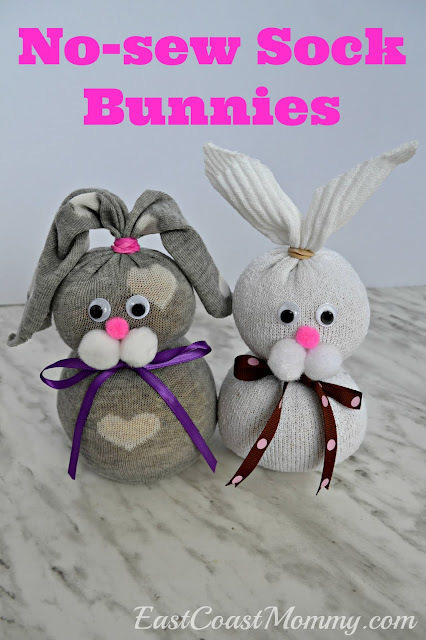 10) Spring - April showers bring May flowers... but these "Spring" crafts and activities are perfect for any time of year. 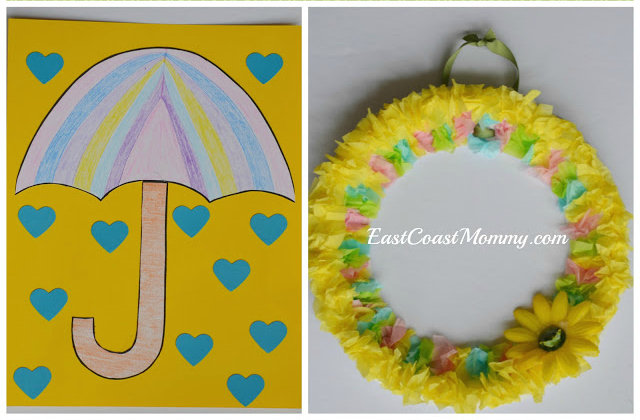 The Spring wreath is great for honing fine motor skills, and the kids will love making it. You can find the details here. 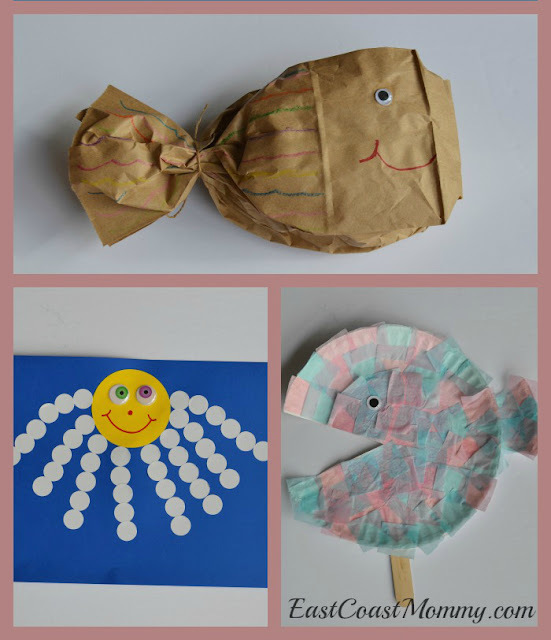 11) Under the Sea - Preschoolers will adore these sweet "under the sea" crafts and activities. The paper bag fish is always a hit with little ones. You can find the details here. 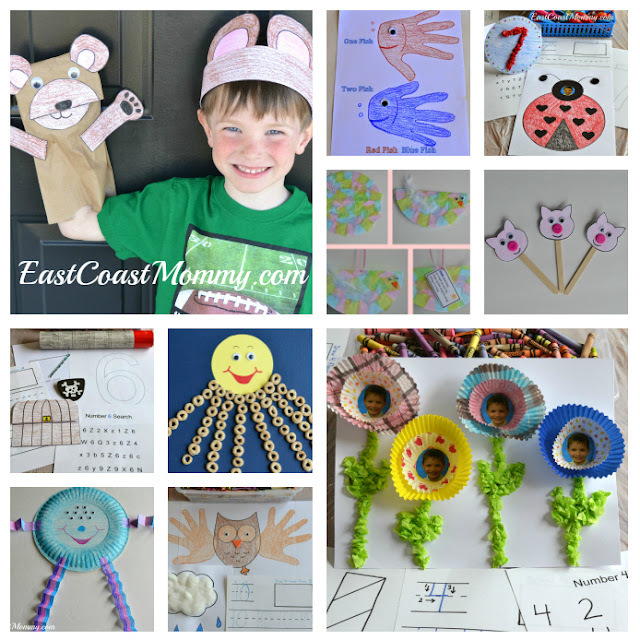 12) Olympics - The Olympics come every four years, but these crafts and activities are perfect any time of year. 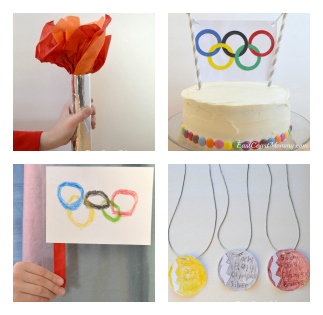 Kids will love crafting their own Olympic torches and medals. You can find the details here. 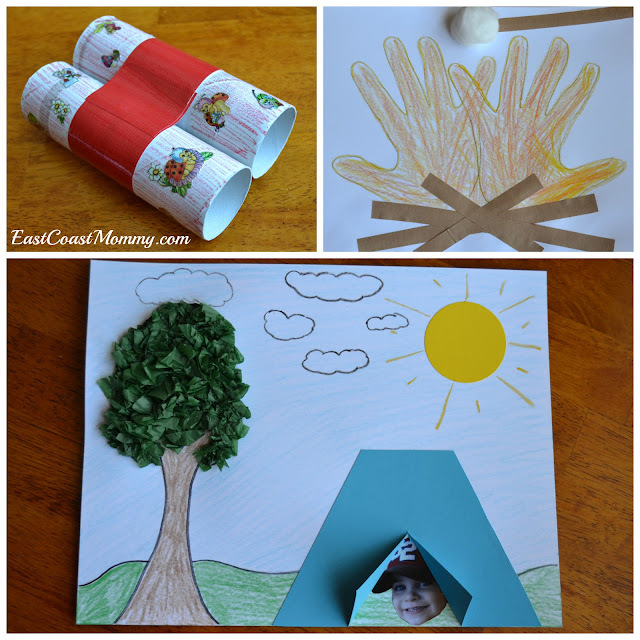 13) Camping - Explore the great outdoors, or get creative inside, with these simple and interactive camping crafts. You can find the details here. 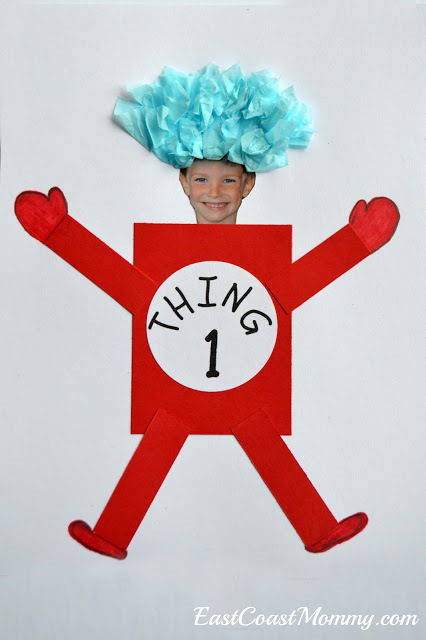 14) Dr. Seuss - Reading and crafting with Dr. Seuss is always fun. 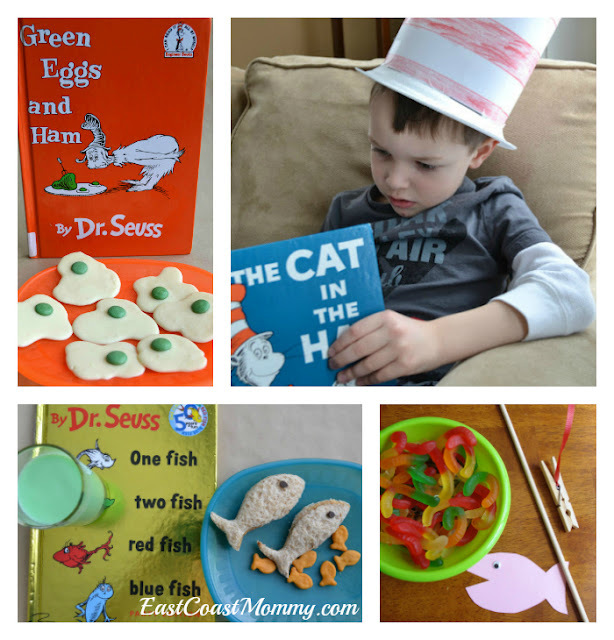 You'll have no problem getting your Preschooler to try these green eggs and ham! You can find the details here. 15) Princess Tea Party - Tea party are a lot of fun... and they are even better when you make your own crown and accessories. You can find the details here. 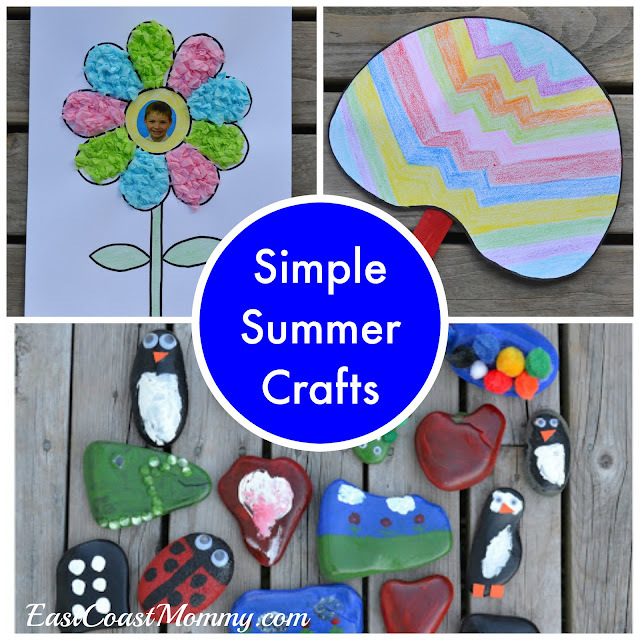 16) Summer - Summer crafts are a great way to bring the sunshine indoors. 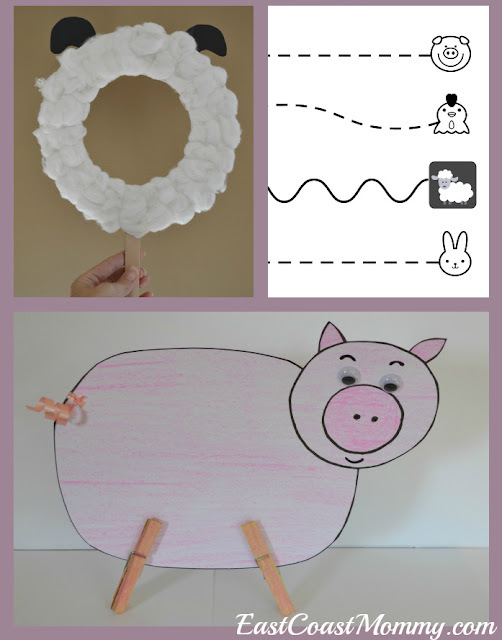 The painted rocks are simple adorable, and the free paper fan template is fantastic. You can find the details here. 17) All About Me - Preschoolers love to learning about themselves, and it helps them to build their confidence. 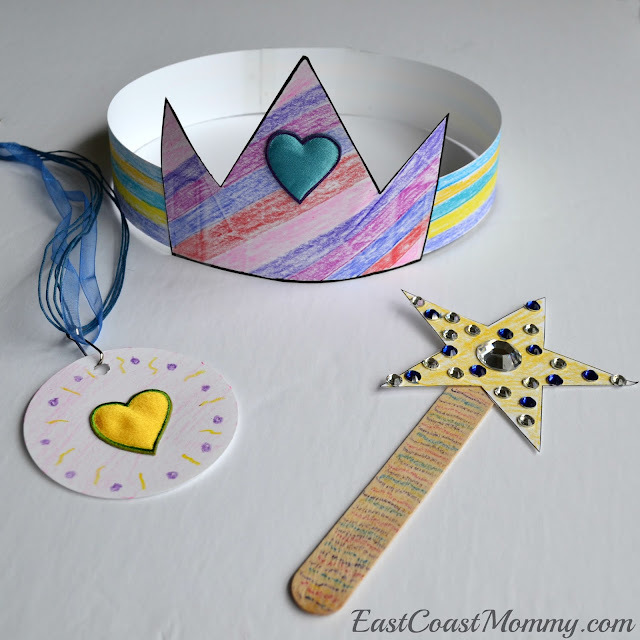 These "All About Me" crafts and activities are perfect for little ones who want to explore their personal identities. You can find the details here. 18-27) Numbers - I have 10 full lesson plans for exploring the numbers 1-10. Each number has it's own crafts and activities that kids will love. You can find the details here. 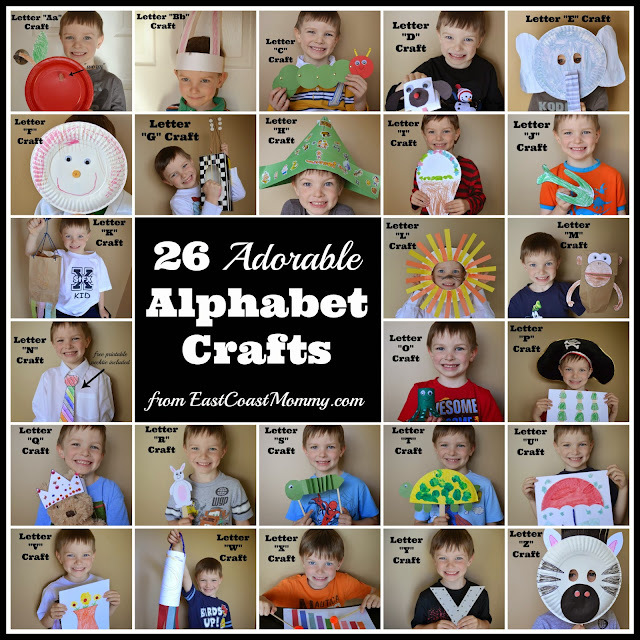 28-52) Letters - I have 26 full lesson plans for exploring every letter of the alphabet. 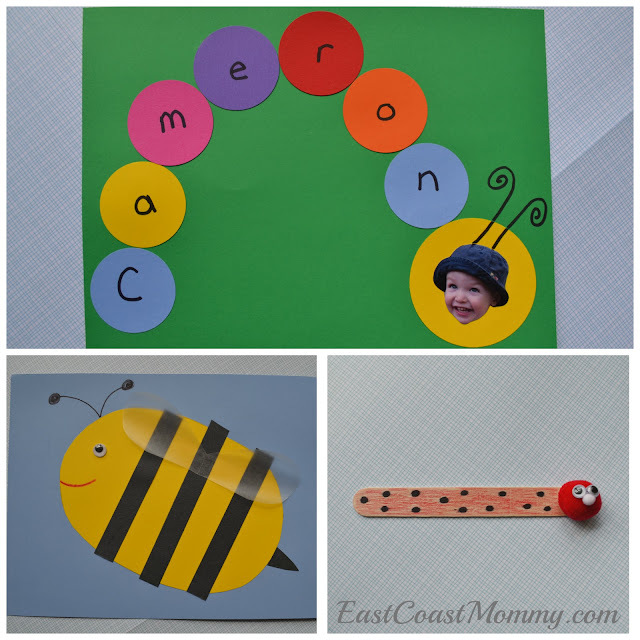 Each letter has it's own crafts and activities that kids will love. You can find the details here. 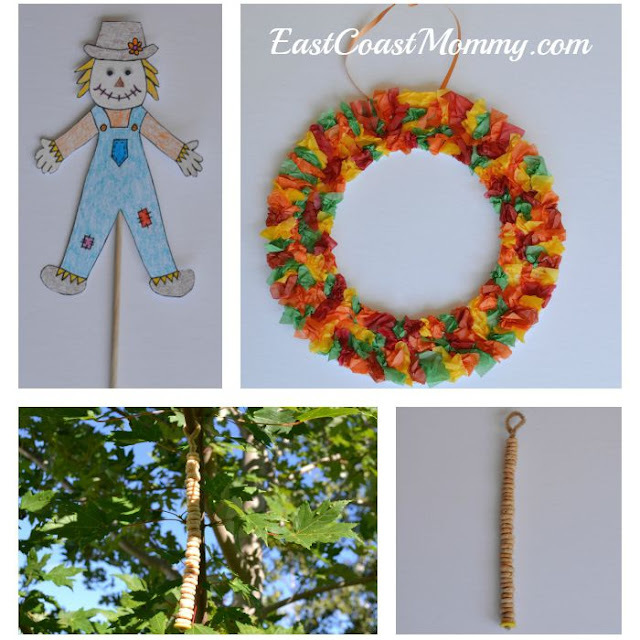 I also have some fun ideas for holiday crafts and activities for Preschoolers. 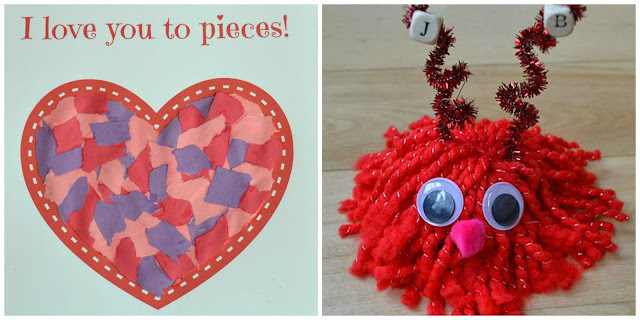 53) Valentine's Day - These simple Valentine's Day crafts are a perfect way for kids to create their own Valentine's Day gifts and decor. The "love bug" is guaranteed to delight Preschoolers. You can find the details here. 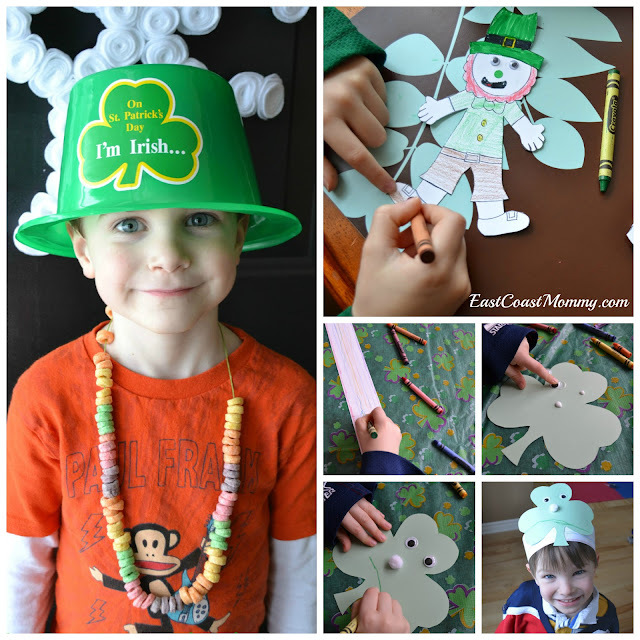 54) St.Patrick's Day - You don't have to be Irish to have fun making St.Patrick's Day crafts. The rainbow necklace is a great way for Preschoolers to practice fine motor skills, and the leprechaun puppet and shamrock hat are both adorable and fun. You can find the details here. 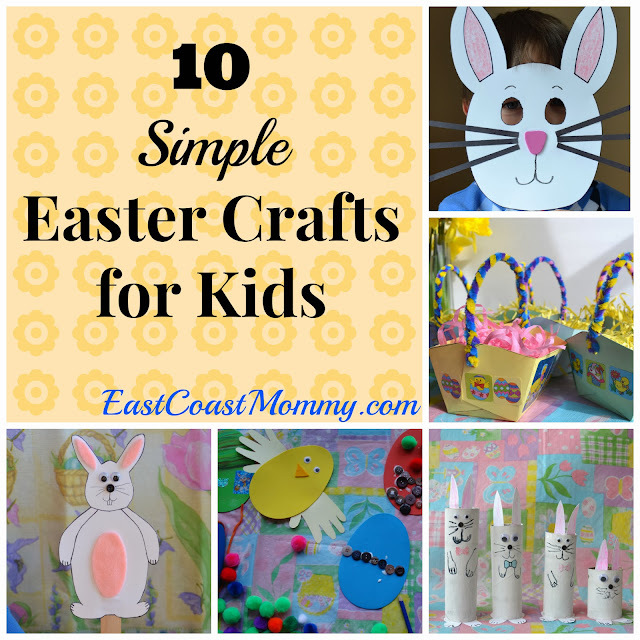 55) Easter - Everyone loves the sweet egg and bunny crafts that kids can make at Easter time. I have a lot of fun options, but I think the free bunny mask template is my favourite. You can find the details here. 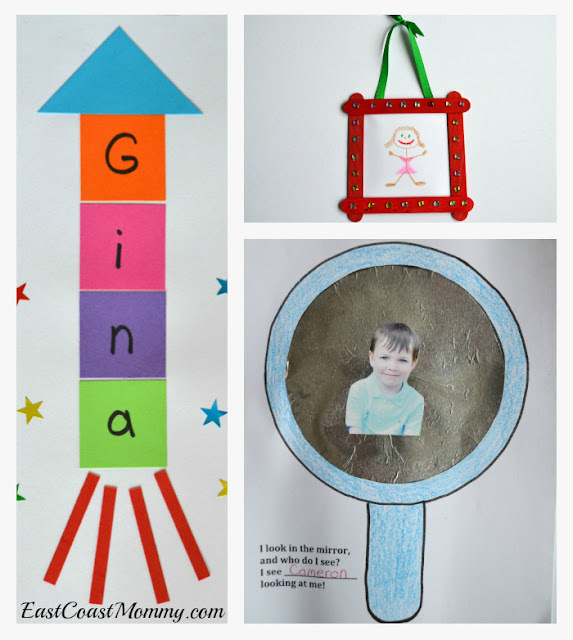 56) Canada Day - Creating some patriotic and festive crafts is a wonderful way for Preschoolers to celebrate July 1st. 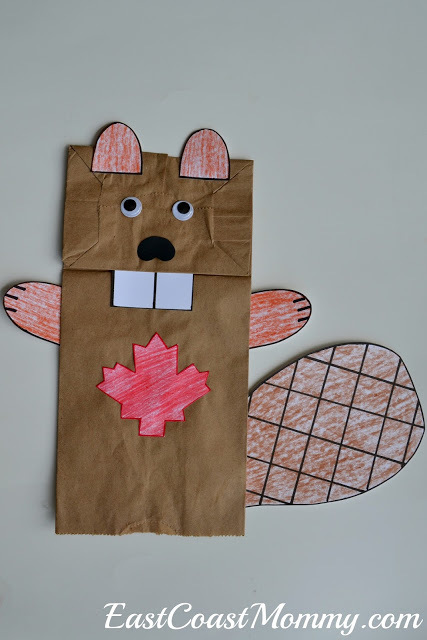 I have several fun Canada Day crafts and activities on my blog, but I love the beaver puppet the most! You can find the details here. 57) Halloween - Preschoolers will be thrilled by (not scared of) these super-cute Halloween crafts. 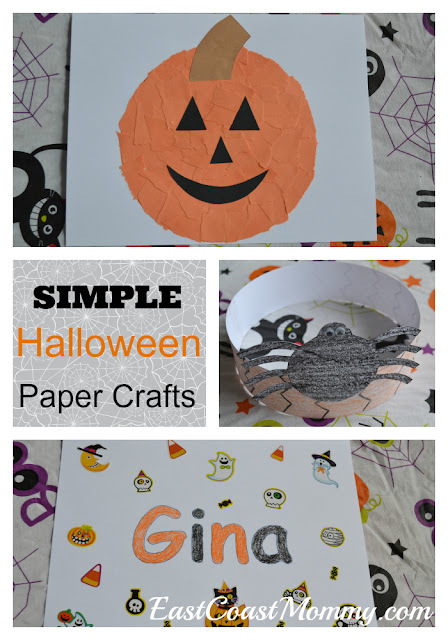 Tearing up paper for the pumpkin craft is a fantastic way for Preschoolers to work on fine motor skills, and the result is adorable! You can find the details here. 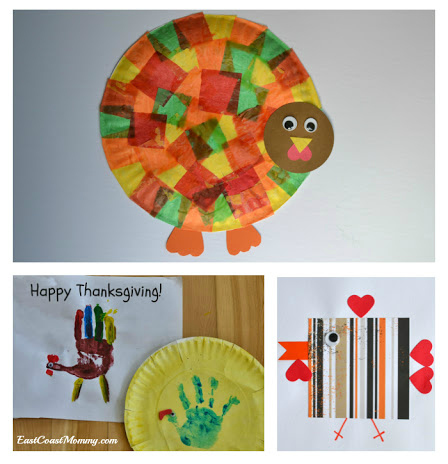 58) Thanksgiving - Preschoolers will be thankful for these adorable Thanksgiving crafts. How cute is the tissue paper turkey??? You can find the details here. 59) Christmas - Creating Christmas crafts is a lot of fun for kids, and it's a great way to celebrate the season. 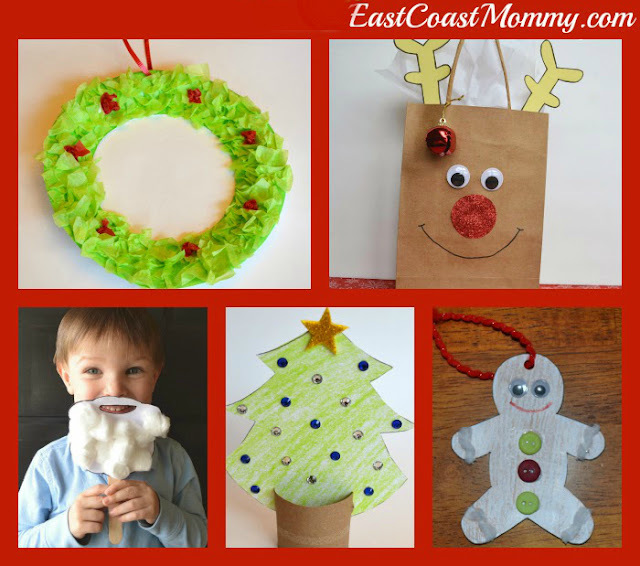 The simple holiday crafts on my blog are simple to make and are perfect for Preschoolers. You can find the details here. 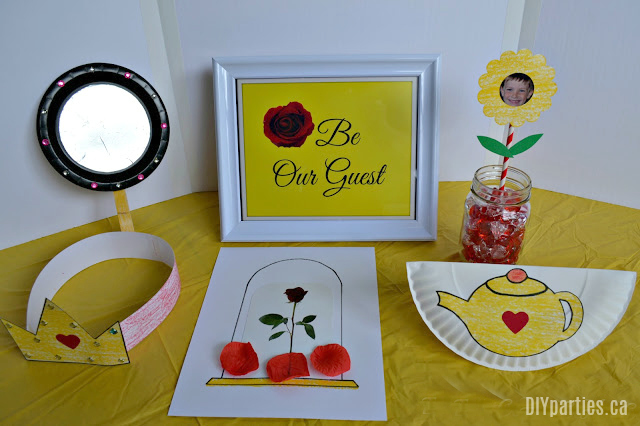 60) Beauty and the Beast tea party - This is such a special theme. Snacks can be tailored, decor can be added, and the kids can keep busy with some fantastic simple tea party crafts. I love the rocking tea pot, but you can find all the details here. Being creative is a fun way for kids to learn and gain confidence. 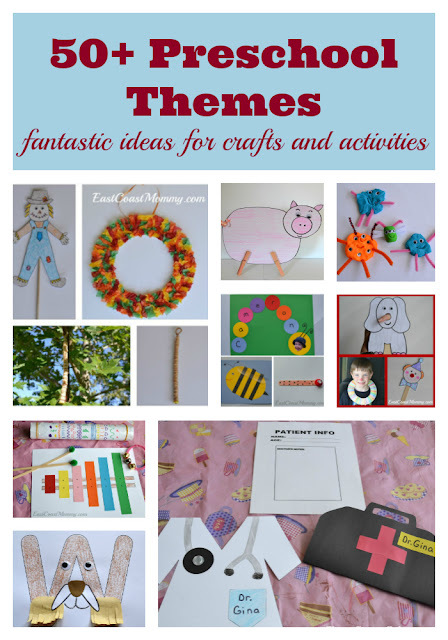 I hope you enjoy exploring all my crafts and activities with your children or Preschool class.